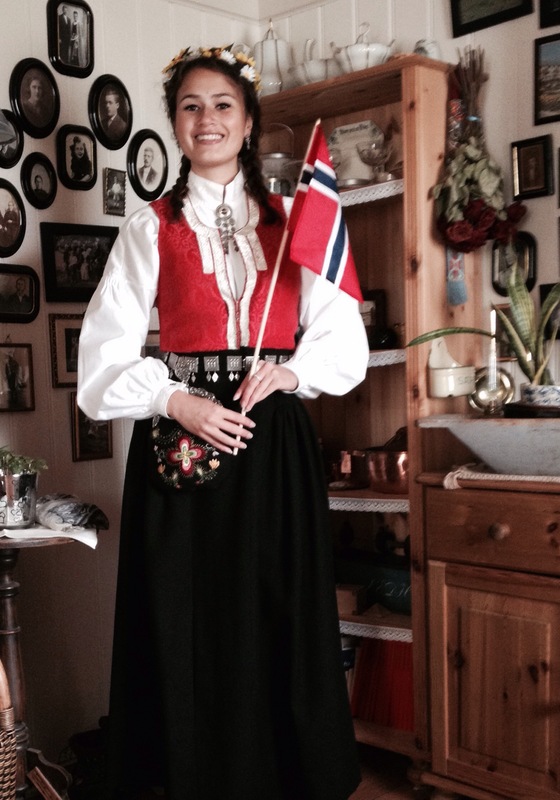 – Or more correctly known as the Norwegian Independence/Constitution/National day for all Norwegians and friends of Norwegians. It’s widely recognised as the day Norway and the Norwegian Facebook walls are dressed in red, white and blue. 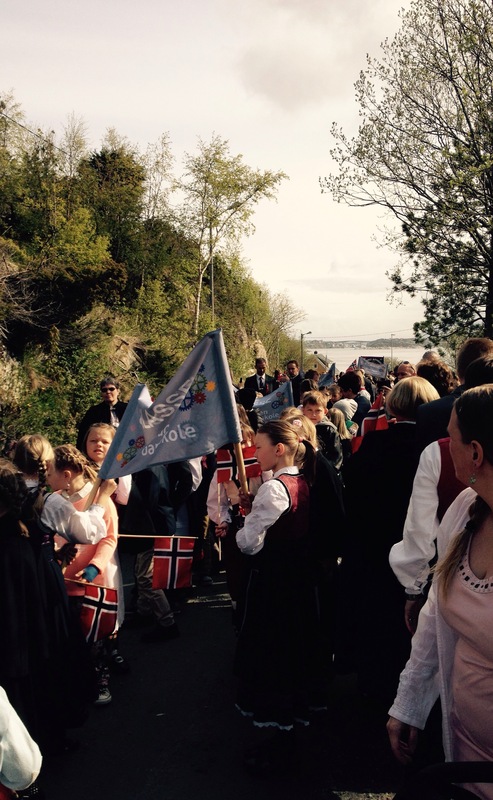 For us Norwegians, this day marks and celebrate the 17th of May in 1814 when we got our own constitution which declared us to be an independent country after having been under and with Denmark and Sweden through history. 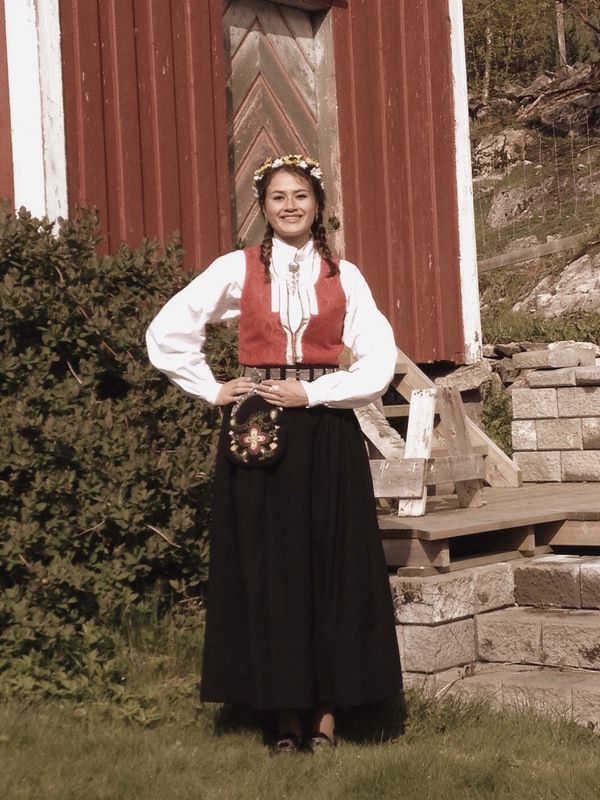 For everyone else, this is a day when us Norwegians dresses up in our old folk costumes, the Bunad, bring out all the traditional elements like baking, raising the flag, folk parading with bands and songs, and enjoy the day with our family and friends. 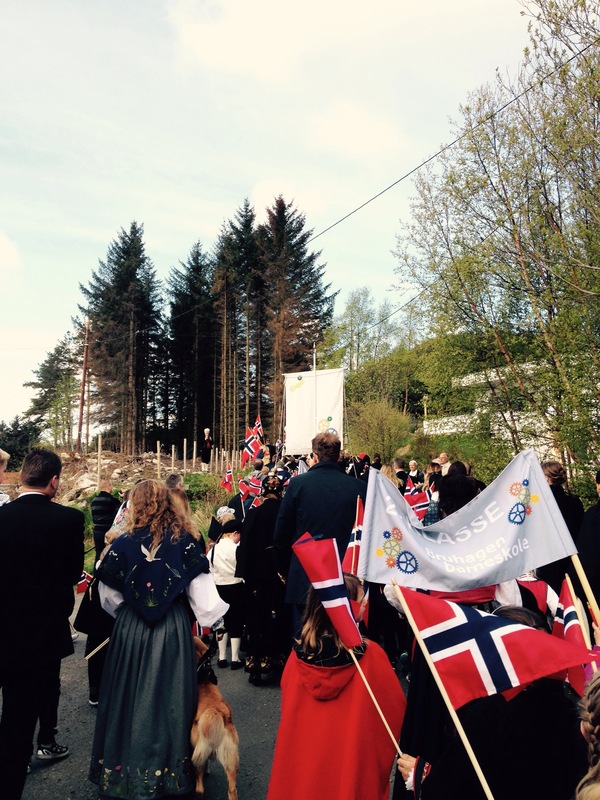 The national pride is truly coming out on this day: It’s the day where Norway shows its true colours. If you’re ever planning to visit Norway during the spring, I’d recommend planning your trip around this day. The days before you’ll meet several Russ around the streets which all are part of Norway’s – more than a 100 year old – 17 days High School pre-exams and graduation (drinking) ritual (God, that’s a mouthful). It’s a phase we all look back at with pride and shame (yours truly did two years in a row because I took an education that allowed it) and I dare to claim it has to be seen to be understood. Today’s interesting note: This year was the first year I was home to celebrate the national day in the last five years and the day was not over until I had both cakes, a hot dog and ice cream. 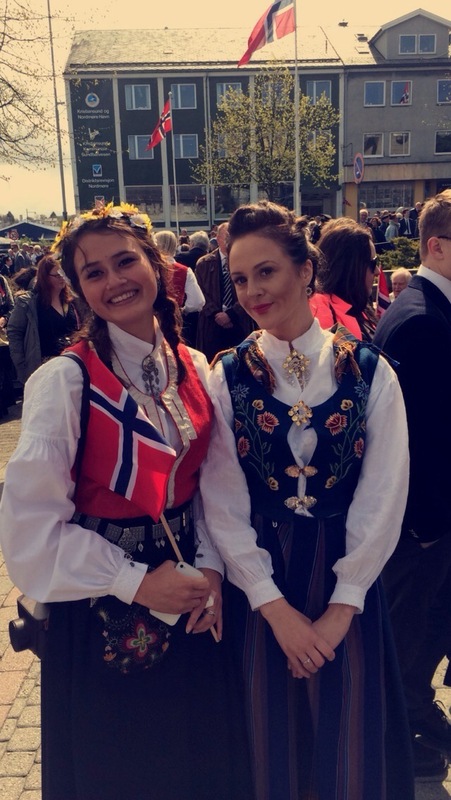 Norwegians living all over the world are arranging a folk parade in their respective cities (with a significant amount of Norwegian citizens) to honour the day and live the national day in spirit with their family and friends back home.